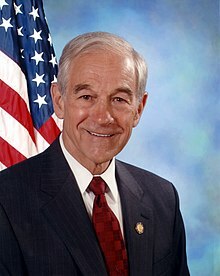 US Liberal Ron Paul: The real question is why the US government is involved in Ukraine in the first place. We are broke. We cannot even afford to fix our own economy. Yet we want to run Ukraine? Does it really matter who Ukrainians elect to represent them? Is it really a national security matter worth risking a nuclear war with Russia whether Ukraine votes for more regional autonomy and a weaker central government? Isn’t that how the United States was originally conceived? Has the arrogance of the US administration, thinking they should run the world, driven us to the brink of another major war in Europe? Let us hope they will stop this dangerous game and come to their senses. I say let’s have no war for Ukraine! The US sees this as a Russian-sponsored destabilization effort, but is it so hard to understand that the people in Ukraine may be annoyed with the US and EU for their involvement in regime change in their country? Would we be so willing to accept an unelected government in Washington put in place with the backing of the Chinese and Iranians? The US State Department provided much assistance earlier this year to those involved in the effort to overthrow the Ukrainian government. The US warned the Ukrainian government at the time not to take any action against those in the streets, even as they engaged in violence and occupied government buildings. But now that those former protesters have come to power, the US takes a different view of protest. Now they give full support to the bloody crackdown against protesters in the east. Why are people protesting in eastern Ukraine? Because they do not believe the government that came to power after the US-backed uprising in February is legitimate. They do not recognize the authority of an unelected president and prime minister. The US sees this as a Russian-sponsored destabilization effort, but is it so hard to understand that the people in Ukraine may be annoyed with the US and EU for their involvement in regime change in their country? Would we be so willing to accept an unelected government in Washington put in place with the backing of the Chinese and Iranians? The US State Department provided much assistance earlier this year to those involved in the effort to overthrow the Ukrainian government. The US warned the Ukrainian government at the time not to take any action against those in the streets, even as they engaged in violence and occupied government buildings. But now that those former protesters have come to power, the US takes a different view of protest. Now they give full support to the bloody crackdown against protesters in the east. The State Department spokesperson said last week: “We continue to call for groups who have jeopardized public order by taking up arms and seizing public buildings in violation of Ukrainian law to disarm and leave the buildings they have seized.” This is the opposite of what they said in February. Do they think the rest of the world does not see this hypocrisy? The residents of eastern Ukraine have long been closer to Russia than to the US and EU. In fact, that part of Ukraine had been a part of Russia. After February’s regime change, officials in the east announced that they would hold referenda to see whether the population wanted autonomy from the US-backed government in Kiev. The US demanded that Russian President Putin stop eastern Ukraine from voting on autonomy, and last week the Russian president did just that: he said that the vote should not be held as scheduled. The eastern Ukrainians ignored him and said they would hold the vote anyway. So much for the US claims that Russia controls the opposition in Ukraine. Even though the Russian president followed US demands and urged the eastern Ukrainians to hold off on the vote, the US State Department announced that the US would apply additional sanctions on Russia if the vote is held! Does this make any sense? The real question is why the US government is involved in Ukraine in the first place. We are broke. We cannot even afford to fix our own economy. Yet we want to run Ukraine? Does it really matter who Ukrainians elect to represent them? Is it really a national security matter worth risking a nuclear war with Russia whether Ukraine votes for more regional autonomy and a weaker central government? Isn’t that how the United States was originally conceived? Has the arrogance of the US administration, thinking they should run the world, driven us to the brink of another major war in Europe? Let us hope they will stop this dangerous game and come to their senses. I say let’s have no war for Ukraine!